How Does Aging Affect Your Teeth? As we get older, many different things happen to our bodies. Overall wisdom tells us the best thing we can do is embrace the process and enjoy the ride. However as is the case with most things, there are some ways we can proactively choose to live and care for our bodies that will pay off tremendously as we get older. What does this mean for taking care of your oral health? How does aging really affect your teeth? Your oral health should be a top priority at every age as you can experience many serious conditions whether you are 25 or 75. There are some key conditions for which you become more susceptible as you get older. We have broken down some of the key items below and what you can do to minimize your risk. The biggest concern at the core of your oral health is preventing acid erosion. Sugary and starchy foods are carbohydrates that ferment and cause the bacteria in your mouth to produce acid. The acid erodes the enamel on your teeth which creates small holes or openings where a cavity can form. As you age, erosion is more likely to happen near previous fillings or where gums have receded. Your dentist will be able to monitor this at your check-ups. Avoiding sugary foods and sweetened drinks and having regular check-ups are key to minimizing the risk of enamel erosion. Your teeth are meant to withstand constant wear and tear. The challenge is that as you age, you may have more teeth that are compromised by fillings, root canals, or other dental procedures. These teeth are more vulnerable to breaking and chipping. Avoid chewing hard foods. This can be helpful in minimizing the risk of chipping a tooth. It is advised that you don’t chew on ice at any age. Another factor to consider is clenching or grinding your teeth. Bruxism, the technical term for clenching, can wear down the surface of your teeth which can lead to cavities. You may not even be aware you are doing it, but your dentist may be able to detect signs of wear and tear associated with bruxism. A nightguard may be recommended. A nightguard can be very effective in preventing or minimizing the amount of clenching and grinding you are able to do. When the teeth are not able to line up directly, less muscles are activated during the clenching process so there is less risk of damage or jaw joint pain. According to a 2012 study done by the Center for Disease Control, nearly fifty percent of adults over the age of 30 have some amount of gum disease. Also known as periodontal disease, this disease involves chronic inflammation of the gum tissue and bone supporting a tooth. It is imperative to treat periodontal disease before tooth loss happens. Gum disease is the number one cause of tooth loss and there is also research that connects gum disease and heart disease, diabetes, and other serious conditions. Flossing is the only way that plaque can be removed from between your teeth, which is where gum disease begins, according to the Academy of General Dentistry. 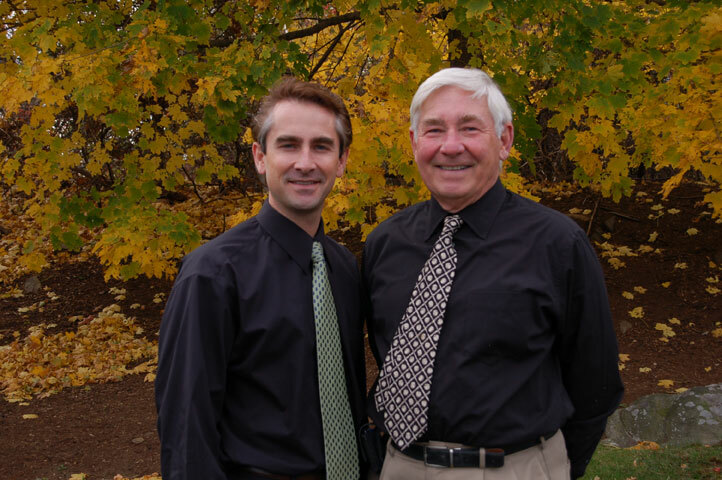 Dr. Randall Burba is an AACD accredited dentist, practicing in Salem, MA. He considers himself an artist – with teeth and beyond! He often paints, draws and has a passion for woodworking. Follow Burba Dental Partners on Twitter and Facebook.